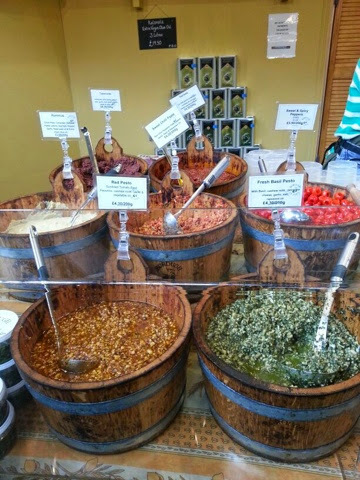 But it is soo popular that when I visited a couple of weeks ago they had run out of my favourite, the Red Pesto - I was absolutely gutted! 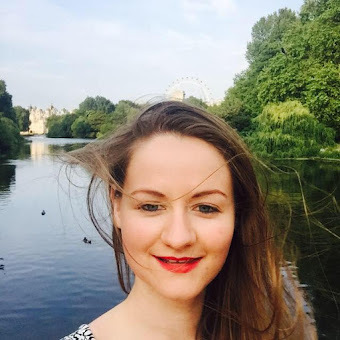 However, this inspired me to have a go at making my own and now I am wondering why I had never tried before - it is just so simple. You will also need 4 tablespoons of olive oil and a food processor or if you prefer a pestle and mortar. 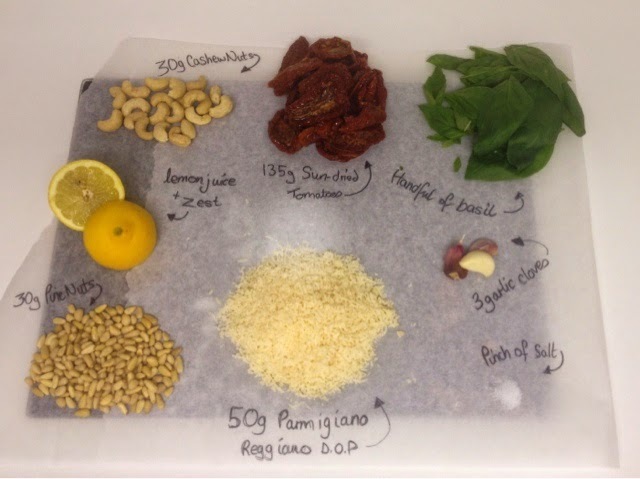 I love the smell that fills the room whilst preparing and weighing out these ingredients, the rich smells of garlic, basil and sun dried tomatoes!!! 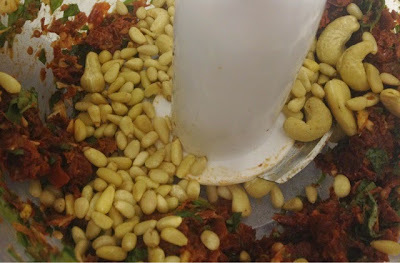 To start, add the garlic cloves to the food processor - now 3 cloves really gives the pesto a strong garlic taste, so if you are not a die-hard garlic lover like me, I would suggest perhaps only using 1 clove. Then add a pinch of salt, basil leaves, juice and zest of half a lemon and sun dried tomatoes. Pulse for 30 seconds at a time until the basil and tomatoes are finely cut. Add the nuts and pulse until roughly chopped. I used pine and cashew nuts but you can also use almonds or walnuts. 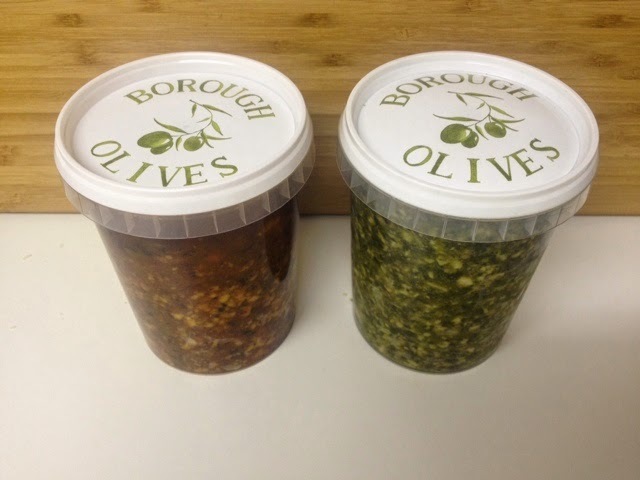 I think next time I would add more nuts to get a really chunky pesto like the one from Borough Olives. Then pop in the finely grated Parmigiano-Reggiano cheese and 4 tablespoons of olive oil and pulse for 30 seconds. 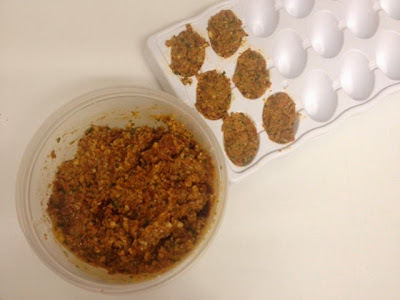 Transfer the pesto to a container and give it a mix to ensure the cheese is all incorporated and it resembles a paste. You may need to add some more oil to ensure it is not too dry but this just depends on how you like it. And there you have it, another super simple recipe. I absolutely love pesto, especially on pasta, pizza, risotto and even burgers and it will last in the fridge for about 2 weeks. 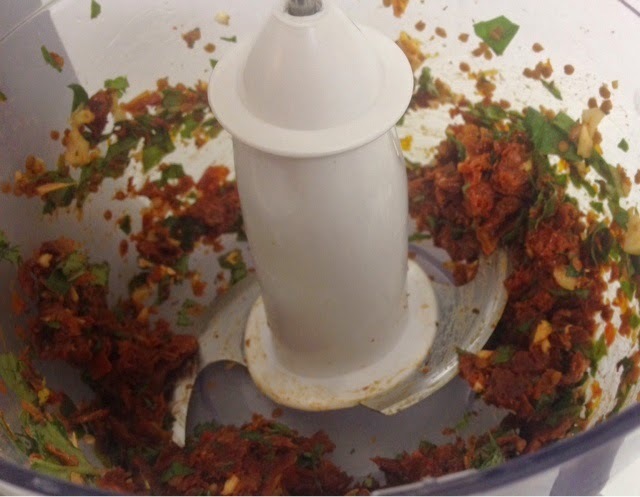 - Don't throw away the oil from the sun dried tomato jar, you can reuse it in salads, to sauté vegetables or even drizzle on pizza. - If you are not going to use the pesto straight away, then fill an ice cube tray with it, ready to add to a pan straight from the freezer. I can't take credit for this tip, it was from the nicest lady at the Borough Olives stall. She also suggested their balsamic glaze on strawberries - a winning combination!! 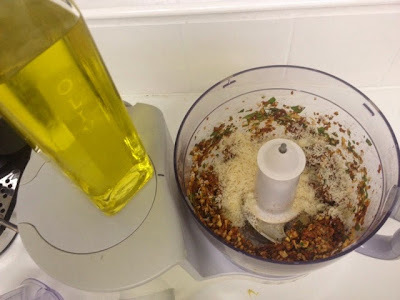 I am really pleased with my first attempt at making pesto, perhaps next time I will add more nuts and olive oil, and even lightly toast the nuts for a more nutty flavour. Have you ever made your own pesto? 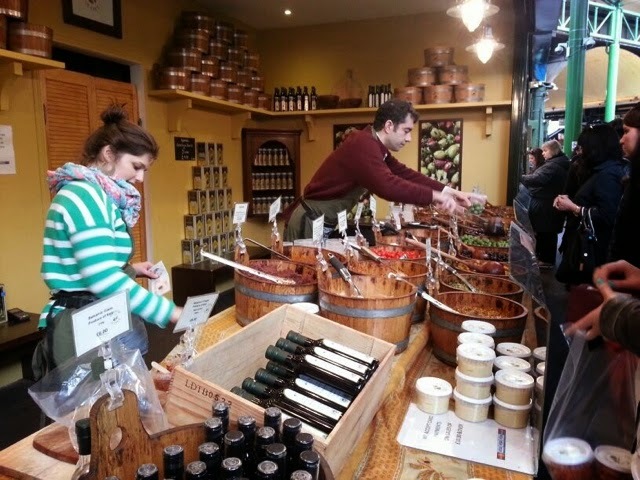 Let me know if you visit Borough Olives and what you buy?